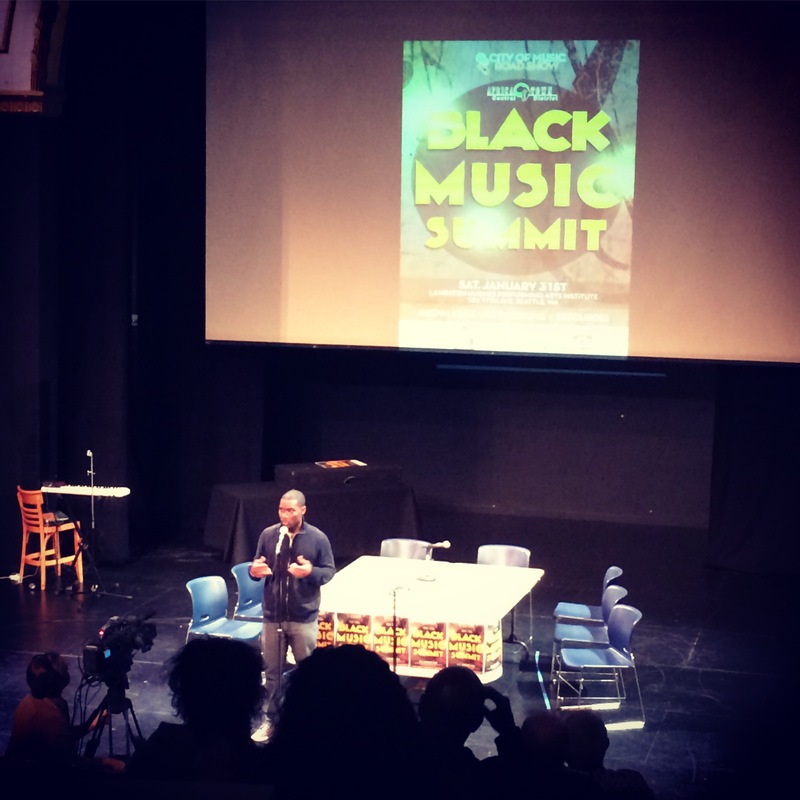 On Saturday, January 31st, the Office of Film + Music’s Director, Kate Becker, and Creative Industries Advocate, Mikhael Mei Williams, participated in the day long City of Music: Black Music Summit at Langston Hughes Performing Arts Institute. Orchestrated by Seattle Music Commissioner Wyking Garrett, this event is an evolution and direct outreach program of the Music Commission’s annual City of Music Career Day held each spring at the Seattle Center. The goal of the Roadshow events is to engage local communities around equity and opportunities in Seattle’s music industry and to provide a framework for discussion around ways to ensure Seattle’s vibrant music scene is accessible and open to everyone. Over 150 people attended and participated throughout the day long event, including six Music Commissioners. 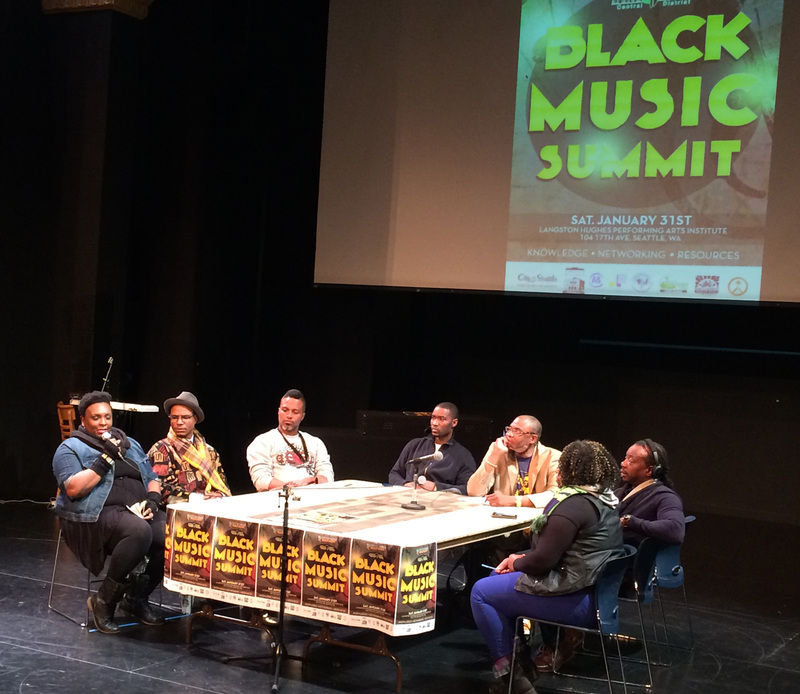 Panels covered a variety of topics including the state of Black Music in Seattle, how to make a living in today’s music business, and how music can be used to activate and enrich neighborhoods. Panelists featured a mix of working artists and performers, promoters, venue owners and operators, and music and cultural organizations and included Ishmael Butler, Shabazz Palaces/Sub Pop Records; Ouwar Arunga, Macklemore & Ryan Lewis/Arunga Music, LLC; Jazmyn Scott, The Town Entertainment; Ricardo Frazer, Seattle Music Commission/Zaki Rose Agency; LaTanya “Sista Luv” Horace, Singer/Songwriter; Tendai Baba Maraire, Shabazz Palaces/Chimerunga Renaissance; Larry Mizell, The Stranger/KEXP; Lara Davis and Liz Johnson, Seattle Office of Arts & Culture; Evelyn Allen, Exec. Director Village Spirit Center for Community Change; Suntionio Bandanaz, 206Zulu and many others. The event generated lively conversation and discussion around challenges facing the Black music community and how artists, musicians, promoters, and others working in the industry could better connect to create more opportunities to make a living in music. The event involved a high-level of active participation and collaboration and the ideas, strategies, and feedback that resulted from the summit will help inform the direction of the City of Music Initiative as it progresses. Seattle Music Commissioner and Black Music Summit organizer Wyking Garrett kicking off the program. Record Store Day 2013 is this Saturday! Are you ready? Is your bank account ready? Here’s little roundup with a few of the Seattle-area record stores participating. Jive Time Records – All music is 20% off, and you get a free hand-screened poster with every purchase. Also, plenty of deals from Ballard businesses (like Bastille, Monster Art & Clothing, and more) with a receipt from Sonic Boom Records, check their site for more info. Spin Cycle – Opens at midnight with all vinyl on sale. You’ll get 5% off when you spend $50, and 10% off when you spend $100. 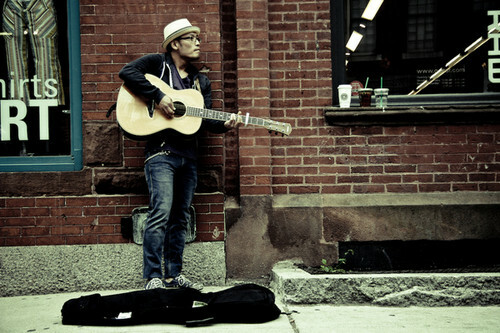 Join us for the Film + Music + Interactive Happy Hour Next Week! Sub Pop Records just announced they are providing scholarships for 3 high school seniors on their way to an accredited college or university. The scholarships are only available to residents of Washington and Oregon. Applicants will need to submit a one page essay on their involvement with music in their community, influences, and plans what he/she would do with the money to progress in their chosen field. There are three scholarships available: one for $6,000, one for $4,000, and one for $3,000. The submission deadline is May 6, 2013.